Unlike the basic ones, which are targeted towards the residential segment of the market; mid-range VoIP is basically targeted to grab the market comprising of, enterprises, small and medium-sized enterprises (SME), and small offices, home offices (SOHO). VoIP providers dealing in the mid-range segment have the ability to customize their plans based on the ever-changing needs of this category. They customize to adapt to the way customers run their business, where products are installed and maintained with ease. Jabbing at the hardware first, you will be delighted to know that other than SIP-enabled phones, no hardware is required (preferably the plug-and-play certified IP phones). In fact, you don’t even need to throw away your previous telephone, as the service allows VoIP gateway to integrate your existing PBX so you can VoIP enable your several offices. This allows you to keep using your analog or cordless phones. 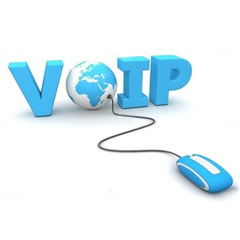 Going with the hosted angle of the VoIP service, the need to get costly gear is abolished. Most of the providers ask for featured phones from Cisco, Panasonic, Polycom, or Yealink to use with Internet connection. Coming to cost involved in the calling plans, you need to consider the extensions being used. You can also mix and match your various extensions. Most of the providers provide an extension at around $40 per month for unlimited U.S and Canadian calling. Metered extensions are also available for the users. Features being one of the most appealing aspect of VoIP, let’s have a look on them as well. Most of the features from the basic range VoIP are available in the mid-range service line. However, the mid-range VoIP includes some of the advanced features in the bundle. User Interface: Address book; Address book import/export ; Caller-ID; Menu driven; Selectable ringing melodies; URL Dialing support; 4 speed dial configurable keys; Message waiting indication. It is pretty clear that scalability defines your choice of VoIP, be it the basic or the mid-range one. Mid-range VoIP service combines stable service line, with a more balanced approach to cost factor. Coming up next is an autopsied complicated VoIP service line. Wait for it! This entry was posted on May 13, 2013 by comparetelecom in Telecommunication, VoIP and tagged business voip, Communication on Internet, Technology, VoIP, voip bandwidth, VoIP Communication, voip service.